This new collection is devoted to the planes used during the five last decades by the USN and USAF. 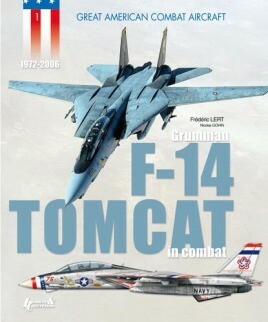 With this first volume, Frédéric Lert presents the career of the one of the US Navy's most legendary planes, the F-14 Tomcat, Tom Cruise's mount in the very famous film, Top Gun. very easy to follow. It is explained in a way that the everyday person….can understand… excellent pictures in flight and on the ground.